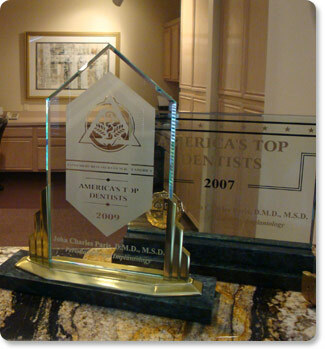 Dr. John C. Paris, specializing in periodontics, dental implants, laser and cosmetic oral surgery. in Dallas / Fort Worth and the U.S.
John C. Paris, DMD, MSD. Dr. Paris has over 30 years of experience and has been a pioneer in the field of periodontal therapy and periodontal treatments in the U.S. It's our goal to provide you with the best periodontal care possible – including laser periodontal therapy, dental implants and cosmetic oral surgery – paired with a pleasant office experience. Who Do You Want Doing Your Dental Implants? Question: What's the difference between having membership in an organization versus having credentials with an organization? A periodontist or periodontal specialist is a dentist that has spent at least an additional 4 years at a hospital and dental school learning the A-Zs in that area of dentistry. A periodontist bridges the gap between dentists and physicians in regards to the structures of the mouth. He or she is responsible for dental conditions as well as medical conditions of the mouth. A periodontist is like a plastic surgeon, meticulously reconstructing and cosmetically enhancing the mouth. Periodontal care is an important part of overall health and wellness. Read more about how periodontal treatment impacts your health >. Our offices are in a great central location near Loop 820 & I20 in southwest Arlington. We provide patient care for residents of Arlington, Mansfield, Kennedale, Grand Prairie, Fort Worth, Dallas, Hurst, Bedford, Euless, Irving, and the surrounding Dallas / Fort Worth area. Dr. John Paris is a periodontist in Arlington, Texas specializing in periodontal treatment, laser therapy and laser treatment, implants, cosmetic surgery and oral surgery, treatment of receding gums or other gum damage and gum disease, as well as sedation services. Dr. Paris is certified to perform anesthesia in-office and practices a higher level of care while utilizing a Board Certified staff of anesthesiologists. 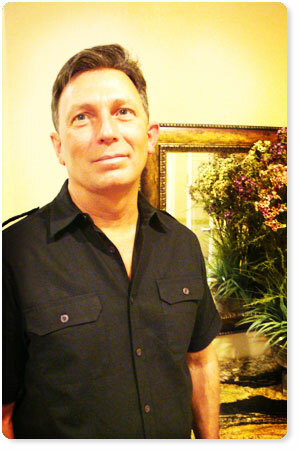 Dr. Paris can also perform your treatment in a hospital where he has extensive privileges. Whether it's periodontal care, dental implants, cosmetic surgery, or laser therapy and laser surgery, we are certain you will be fully satisfied with Dr. John C. Paris and the wonderful expertise and oral treatments he offers.